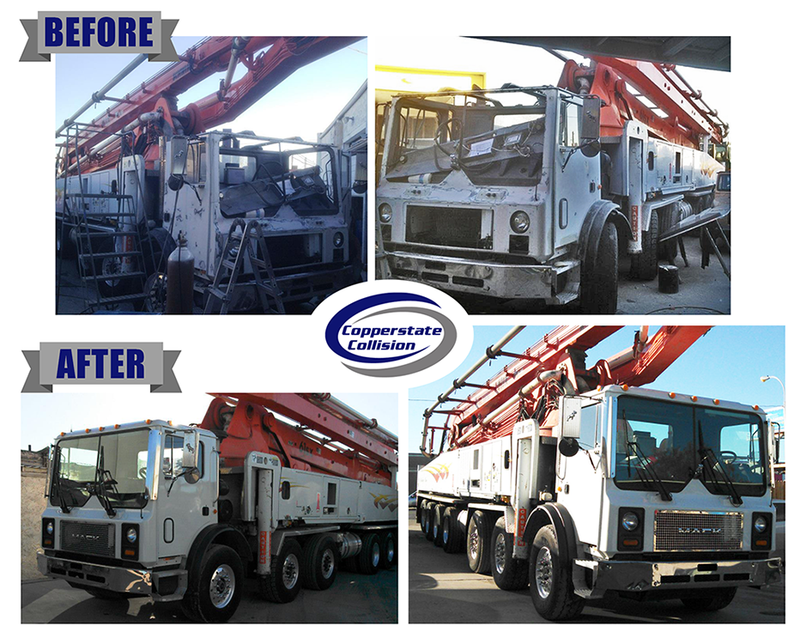 Before and after photos of repair work to a concrete pumping truck with extensive damages. 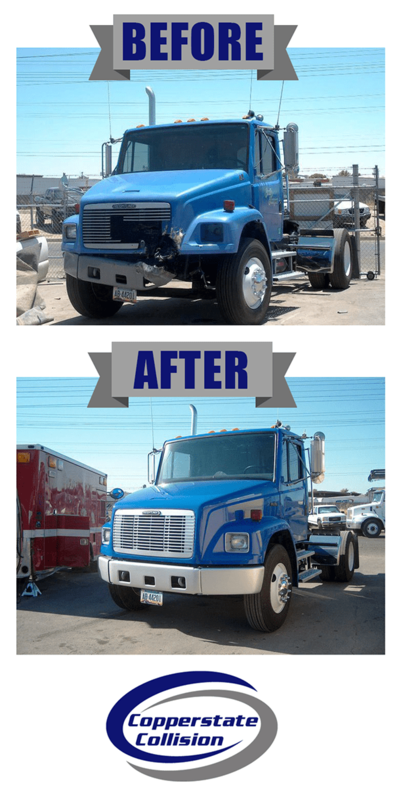 Before and after photo of repairs made to damaged freight liner. 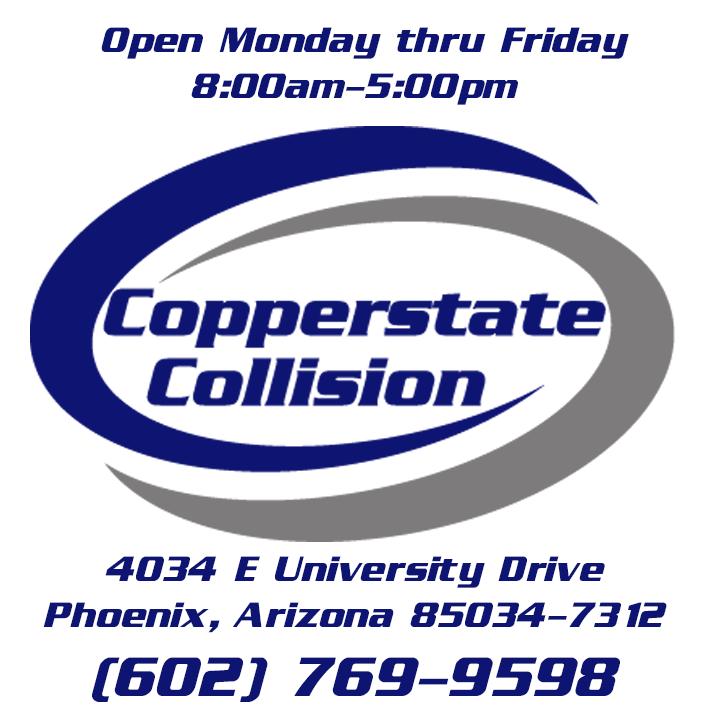 Copperstate Collision is a local, family owned and operated business. We have been an authorized "Napa Auto Care Collision Center" since 2005.